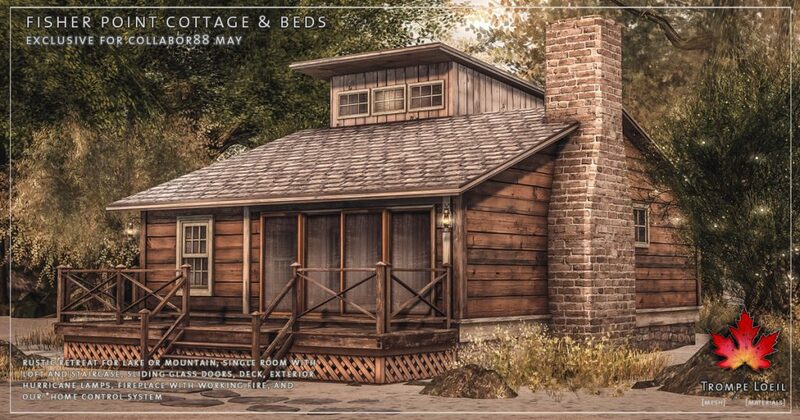 What a time to get away! 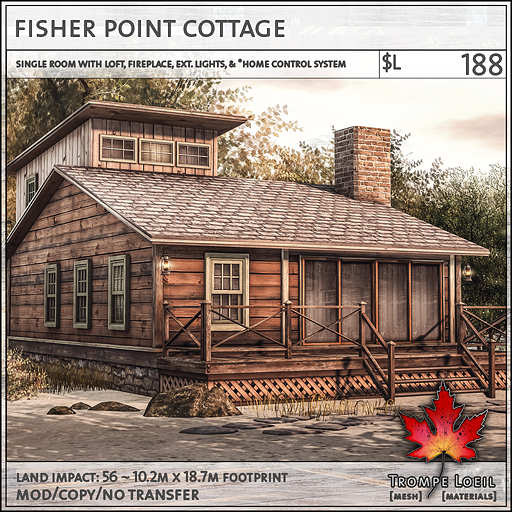 To that lakeside or mountain cottage passed down through the generations – the original fireplace, and the extra room for the loft added a few decades ago – with big glass doors to take in the view and a fire to chase away the chill, the Fisher Point Cottage at Collabor88 May is waiting for you! 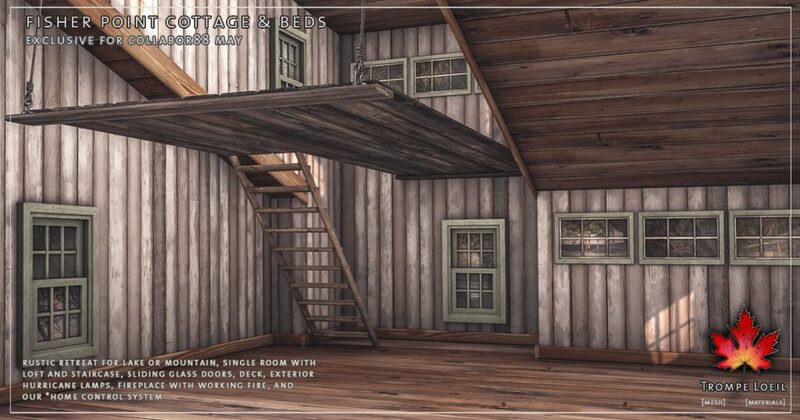 This single room cottage features a suspended sleeping loft with staircase, fireplace with working fire, exterior hurricane lamps, privacy windows, and our *home control system. 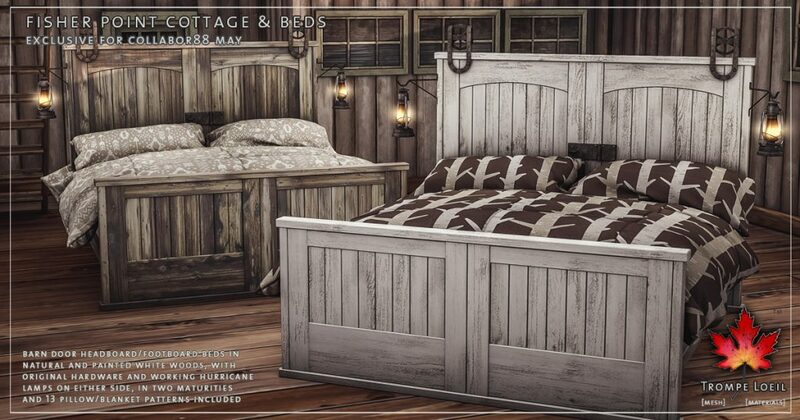 Plus, the matching Fisher Point Beds in your choice of maturities and two included wood colors are reclaimed masterpieces! 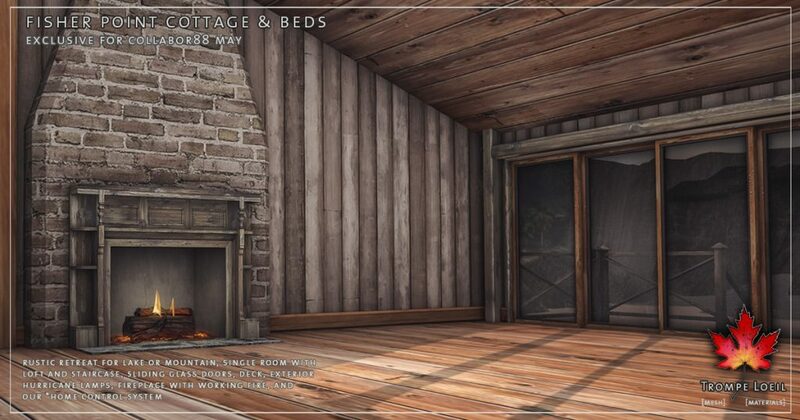 We saved the barn door and turned it into a headboard and footboard, kept the original hardware and latch, and added on his and hers hurricane lamps for keeping cozy. 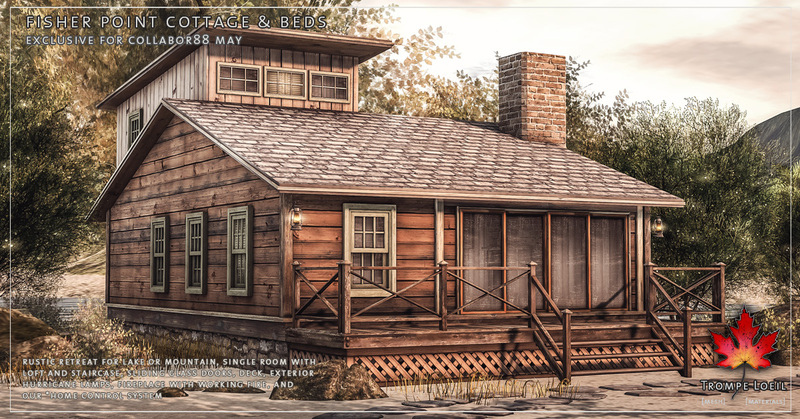 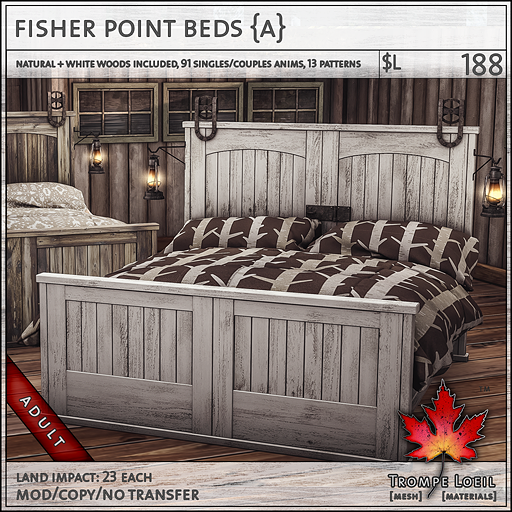 Check the Fisher Point Cottage & Beds out exclusively at Collabor88’s May round!